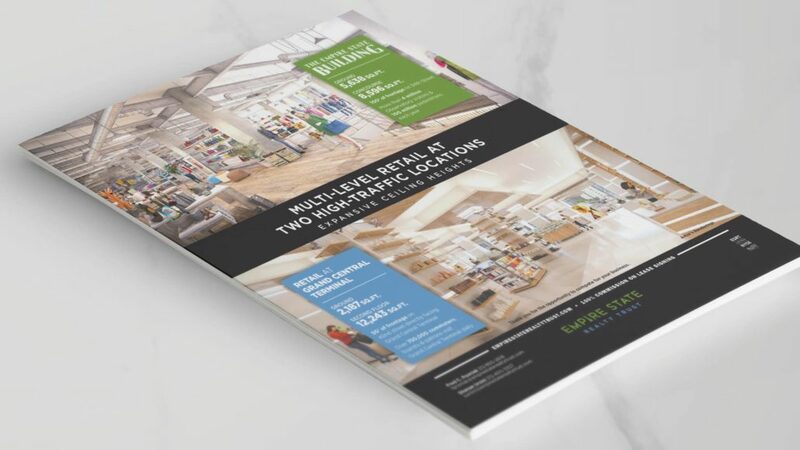 Strategic, custom visualizations and renderings bring retail leasing opportunities into sharp focus in both digital, interactive and print formats. 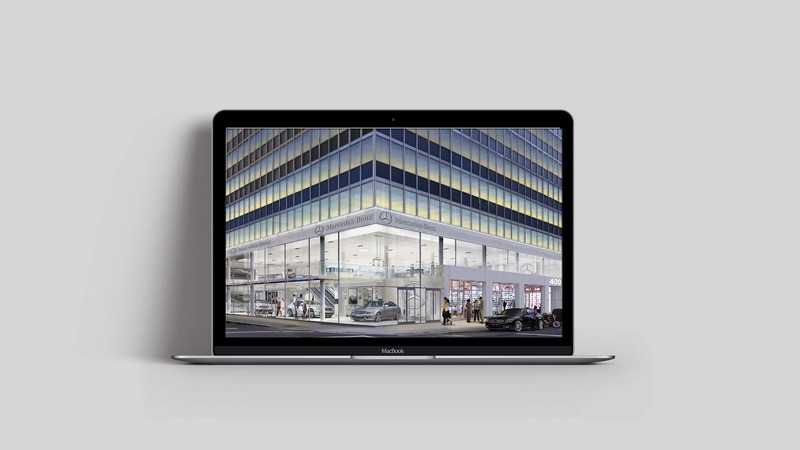 Comprehensive marketing programs, with dedicated websites, interactive emails, extensive branding and signage and targeted, tenant-specific presentations allow owners and brokers to effectively promote a wide range of retail offerings. 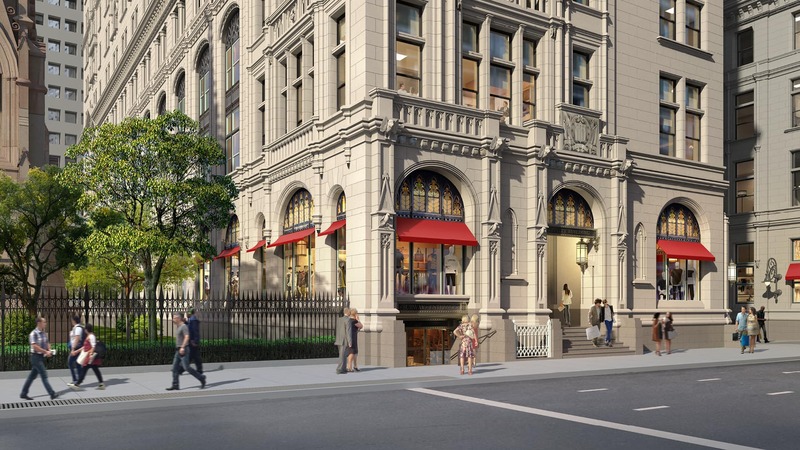 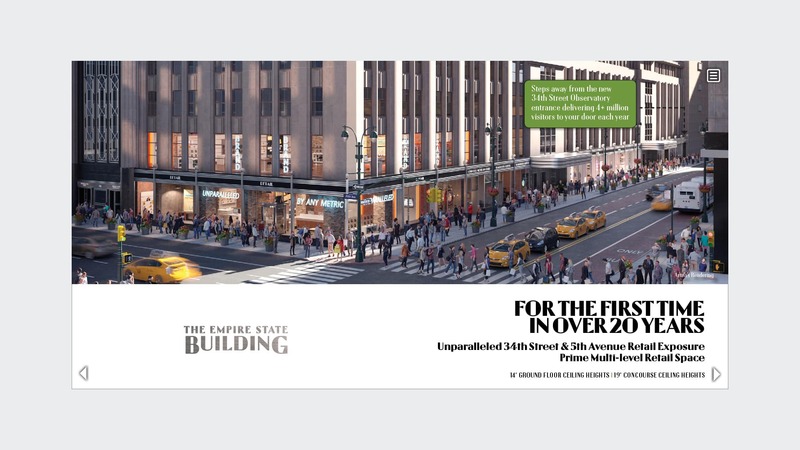 Interactive PDF highlighting a rare retail leasing opportunity at ‘The World’s Most Famous Office Building.’ The digital collateral included a custom, detailed, interactive map to illustrate the retail brands of the 34th Street corridor and plans to delineate proposed space divisions. 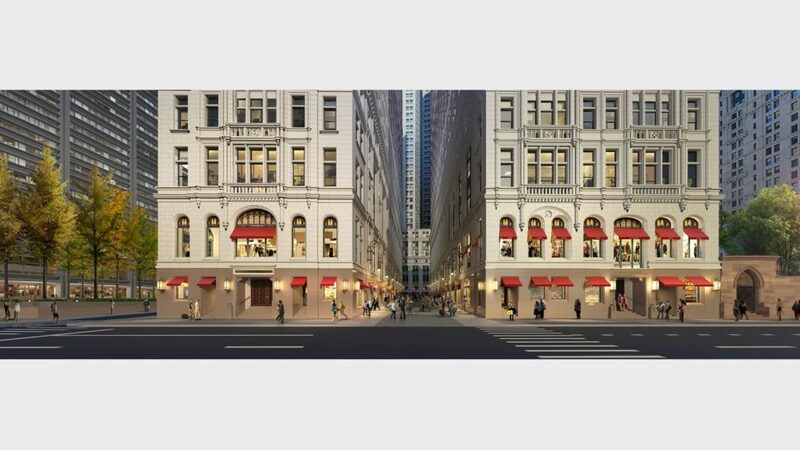 Series of renderings for use in print and digital communications with brokers and retail prospects for high-visibility spaces on Broadway in Lower Manhattan. 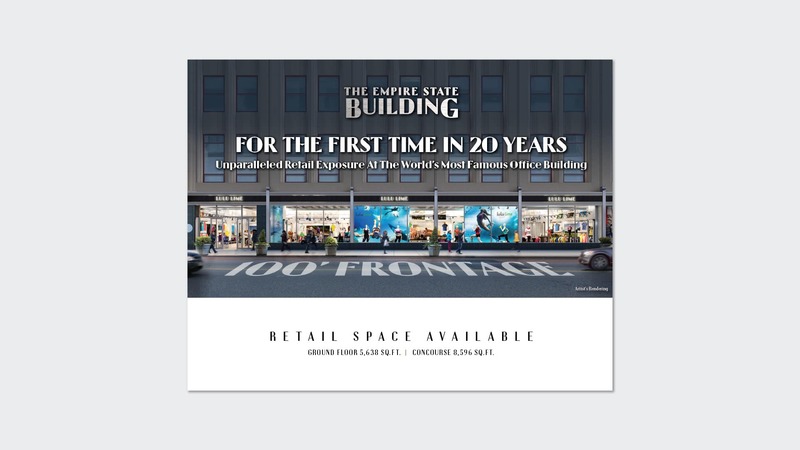 Print ad in the Commercial Observer ICSC issue, featuring the high-level retail offerings at One Grand Central Place and The Empire State Building. 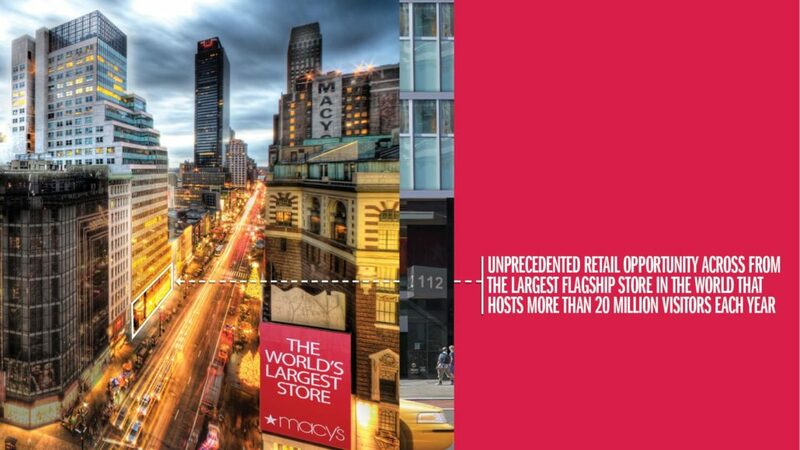 Interior spread from a print brochure as part of a marketing initiative to lease high-traffic space at 112 West 34th Street. 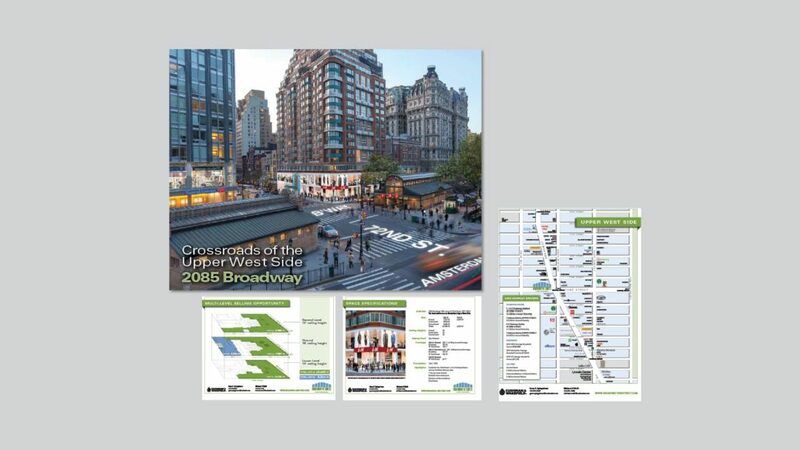 Other program components included renderings, website, digital brochure, print and banner ads and direct mail.